Buy a Spa Infinity gift card to treat someone to a relaxing and rejuvenating time. Spa Infinity is where time honored healing traditions get a dose of modern spa luxury. With over 10 years of unrivalled experience, Spa Infinity is the perfect escapade for pure relaxation and rejuvenation. Offering 29 treatment rooms for full body massages, facials (anti-aging, whitening, acne and sensitive skin), slimming (toning, firming, anti-cellulite) and TCM inspired therapies. There are also private suites for couple treatments. 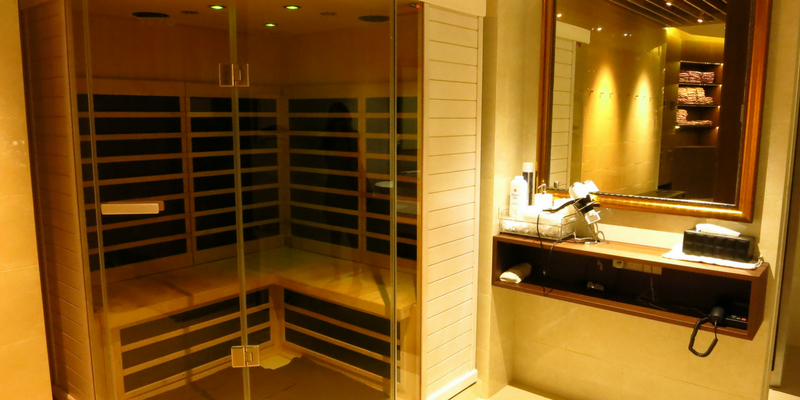 At Spa Infinity, there is 6600 square feet of space dedicated to providing therapy for the mind and body. Treatments are inspired by ancient healing traditions and catered to the modern lifestyle. The spa experience comes with unlimited use of the facilities at the Club Infinity, which offers facilities like Micronized Ion Jacuzzi (Japan technology), Infrared Sauna, Crystal Cool Shower and the Relaxation Lounge. The facilities can be enjoyed before or after the treatments, and guests can chill down and savor the moment with refreshments in Spa Infinity's relaxation lounge. A Spa Infinity gift card is a great SPA gift to give anyone who needs to de-stress and escape the bustling city!